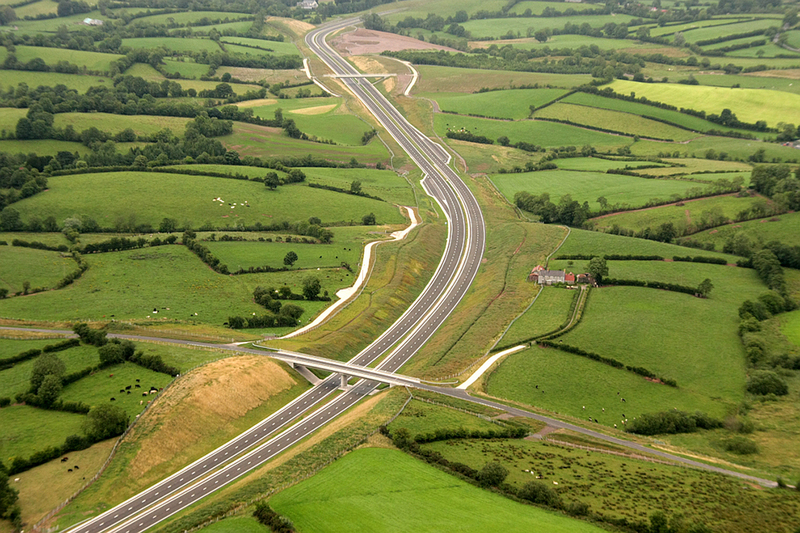 Commissioned by the DRD Roads Service, DBFO 2 was the largest ever highway scheme to be awarded in Northern Ireland. DBFO 2 was a key project within Northern Ireland’s £18 billion investment strategy that aimed to improve the road links between Belfast and Dublin, and between Belfast and Ballygawley. The 30-year £250 million roads contract is being delivered by the Amey Lagan Roads Public Private Partnership (PPP) under a design, build, finance and operate agreement. 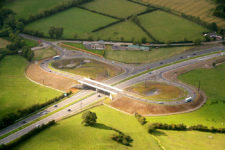 Lagan Specialist Contracting Group delivered the design and construction works, divided into three separate schemes, as part of the Lagan Ferrovial Joint Venture. 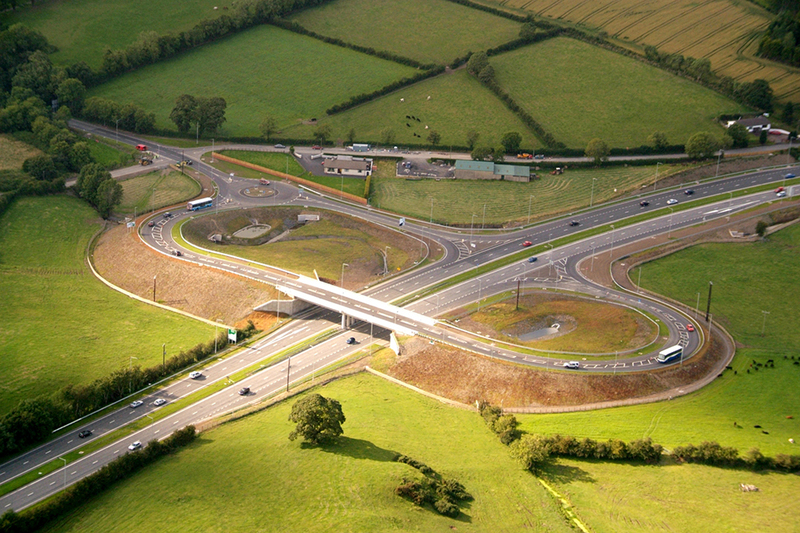 Involved an upgrade of the existing A1 between Sprucefield and Cloghogue, including the provision of a new outer by-pass of the existing dual carriageway at Newry. 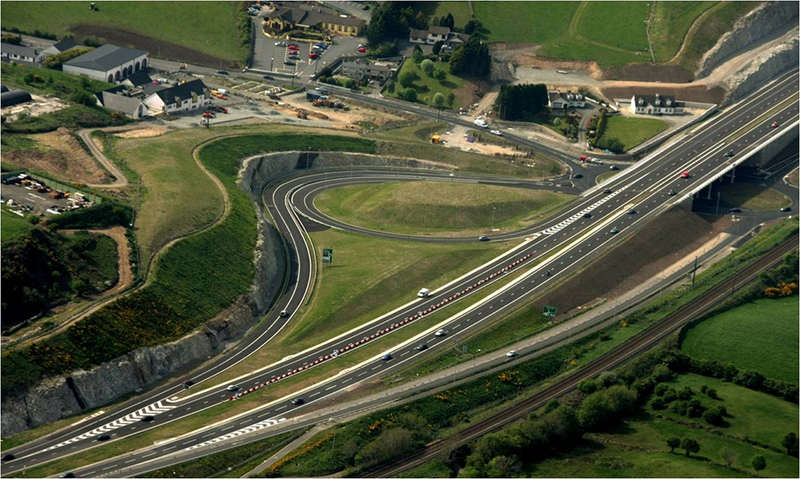 Key aspects of this element of the DBFO2 contract included the construction of 12.1 km of new dual 2 lane all purpose carriageway from Beechhill to Cloghogue. 7.5 km of this route was constructed ‘off-line’ (i.e. new road) and the remaining 4.6km was ‘on-line’. The new 2 lane dual carriageway required the construction of 20 structures ranging in size from an agricultural underpass to a 190m long viaduct as well as five grade separated junctions, six over bridges and seven underpasses. DRD Roads Service identified specific safety improvements that they wished to adopt along the A1 between Sprucefield and Loughbrickland. These improvements included the provision of four grade-separated junctions, two over-bridges and two underpasses, and the closure of central reserve cross-overs in the immediate vicinity of these junctions. Numerous service diversions were required on both the A1 and the side roads. In addition, the junction improvements required the upgrading of existing infrastructure including drainage, surfacing, street lighting, signing, fencing, white lining and footways. 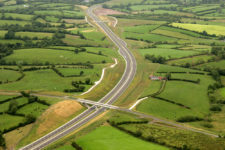 The improvement work on the A4 involved the realignment and upgrading to Dual 2 Lane All Purpose (D2AP) carriageway of the A4 between Dungannon and Ballygawley. This upgrade of approximately 20.5km of the A4 between Dungannon and Ballygawley as a partially on-line/partially off-line (14.5 km off-line, 6km on-line) high quality dual carriageway incorporated a number of grade separated junctions, installation of a central median safety barrier and hard shoulders. 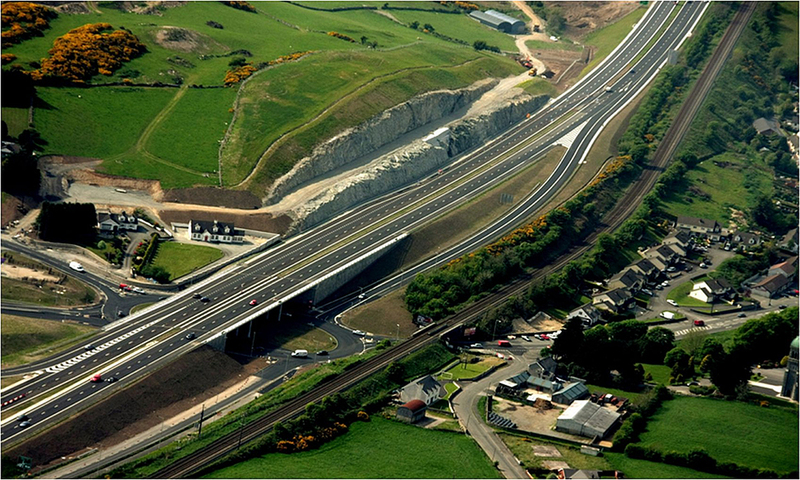 Work included the provision of six grade separated junctions and the construction of 13 over bridges and six underpasses along the line of the proposed scheme. The route crosses seven designated water courses which were traversed by new bridges.